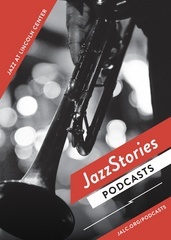 Jazz musicians refer to what they do as telling stories. We bring you backstage stories from jazz legends and those in the making. Jazz musicians refer to what they do as telling stories. We bring you backstage stories from jazz legends and those in the making. Hear what jazz sounds like when musicians put down their instruments. A companion to the weekly program Jazz at Lincoln Center Radio. Brazilian musicians Duduka Da Fonseca, Helio Alves, and Maucha Adnet discuss Samba Jazz and the Bossa Nova. Billy Taylor played with the best in the business. But his contributions to jazz went far beyond the bandstand. "I don't ever want you to open for me again" said Sarah Vaughan. The diva was paying her a compliment, but the modest Dianne Reeves didn't' know that. "Moody's Mood for Love" is one of the most memorable and recognizable solos in jazz history. But for James Moody, the song contains a bigger history.